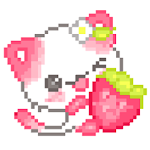 Play the best number coloring sandbox app on Android! For Free! 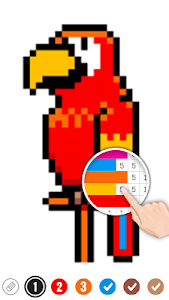 Pixel Sandbox: Cartoon Number Coloring is popular among children and adult! It’s a free number draw sandbox APP for everyone. 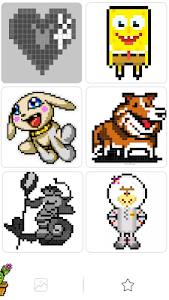 There’re many interesting pixel cartoon characters and number books for you to coloring. ✔Pick color and drop in the same numbers’ blocks. 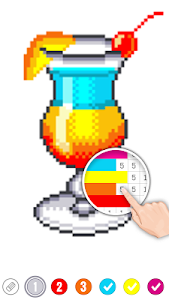 ✔That you’ll finished a cool pixel work. 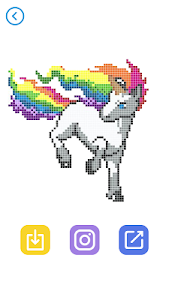 "Color by number cartoon pixel are a great way to teach your kids or students basic number recognition, how to use a legend, and it will give them the opportunity to develop sense of beauty and sense of art." 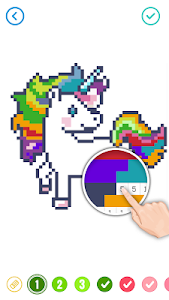 Join Pixel Sandbox: Cartoon Number Coloring to create your pixel artwork easily! It is perfect for adults and kids who love to paint and color by number. 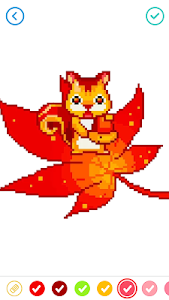 You will find so many free and fascinating cartoon pictures in Pixel Cartoon - Color by Number Sandbox, like flowers, animals, and food, which suit for both adults and kids. ☆ Add more free pages! Adjust paint effect. ☆ Add Horoscope & Zodiac pages! ☆ Use brush to paint quickly! ☆ Add daily new pictures! Don't forget to check out new pictures everyday! 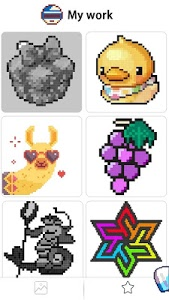 ☆ Add new pictures! 500+ pictures to play! 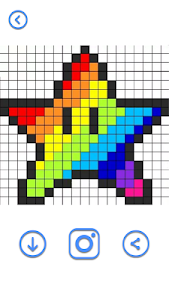 ☆ Play Pixel Sandbox: Cartoon Number Coloring Now! 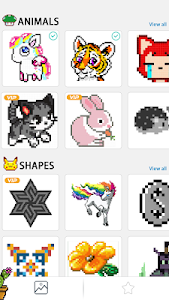 Similar to "Color by Number: Pixel Art"